A comma-separated values (CSV) file is any file containing text that is separated with comma. Here Information helps us to know how to open a CSV file. How to Open a CSV (Comma- Separated Values) file? A comma-separated values (CSV) file is any file containing text that is separated with a comma, but can also be a file separated with any other character. 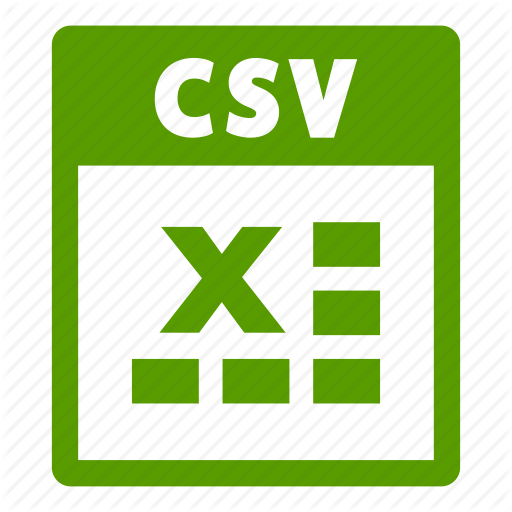 A CSV file can be opened in any program, however, for most users, a CSV file is best viewed through a spreadsheet program such as Microsoft Excel, Open office Calc or Google Docs. Tip: If you do not have a spreadsheet program installed on your computer, consider using an online spreadsheet such as Google Docs or another free spreadsheet program. If Microsoft Excel has been installed on the computer, by default CSV files should open automatically in Excel when the file is double-clicked. If you are getting an Open With prompt when opening the CSV file, choose Microsoft Excel from the available programs to open the file. Alternatively, you can open Microsoft Excel and in the menu bar, select File, Open, and select the CSV file. If the file is not listed, make sure to change the file type to be opened to Text Files (*.prn, *.txt, *.csv). If after opening the CSV file, the text is all in a single column (instead of being separated at each comma into individual columns), open the file in Microsoft Excel. 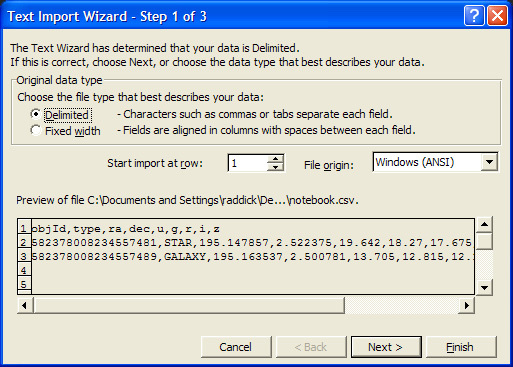 Use the Text Import Wizard, which will prompt you to specify how you want the text separated. Choose the Delimited option, then on the next screen, choose the Comma option. This should result in the text being separated at each comma and being placed in individual columns. Note: If you don't see the Text Import Wizard and all text is still placed in a single column in Microsoft Excel, there may be an issue with how the text in the CSV file is formatted. If there are double quotes around each line of text, Microsoft Excel will treat that as a single record and not separate the text at each comma. Open the CSV file in a text editor, like Notepad, to see if there are double quotes around the lines of text. You can try deleting any double quotes at the start and end of each line in the CSV file, then try opening the file in Microsoft Excel again. If Open Office has been installed on the computer, by default, CSV files should open automatically in Calc when the file is double-clicked. If you are getting an Open With prompt when opening the CSV file, choose Open Office Calc from the available programs to open the file. Locate the file or folder you'd like to add to Drive. Drag and drop the CSV from its current location to the open space in the middle of the My Drive section. The example shows a text file, but it works just the same for a CSV. If the file was properly added, you should see a conformation prompt in the lower right-hand corner of the browser window shown below. Additionally, the CSV will now appear under the My Drive section. When the upload is finished, double-click the CSV file to open it.